***The smallest OWB or IWB concealment holster available on the market. With a price that can not be beat! 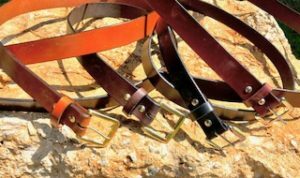 *When ordering Right OWB Scabbard, the holster will have a sewn belt loop and belt slot and is intended to be worn on the belt on your right hip. *When ordering Left hand OWB Scabbard, the holster will have a sewn belt loop and belt slot and is intended to be work on the belt on your left hip. *When ordering a Right Hand Clip-on holster, the holster can be worn IWB on the right side or OWB on the left side. *When ordering a Left Hand Clip-on holster, the holster can be work IWB on the left side or OWB on the right side. We can only do this holster in full exotic leather and not trim. Due to this is a very small holster and there is no reinforced mouth piece to add a trim in exotic leather. 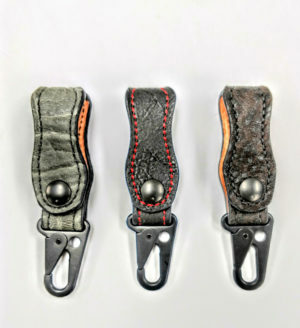 Please check out other pancake holsters or avenger scabbard holster for a trim in exotic leather.